Earlier this year, I went to a Kuan Yin Devotinal in Berkeley led by Diana Paxson and The Fellowship of the Spiral Path. 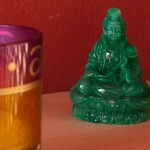 Before the ritual started, I shared the draft of the devotional photography project for Kuan Yin that I’m working on. During the ritual, when I had my eyes closed, a piece of fabric was placed on my shoulders. I think I wrapped it around me like a shawl, like a hug. After the ritual, I opened my eyes and saw that I was the only person with fabric on my shoulders. I asked Diana what it was. She told me it was a special blessing from Kuan Yin. She also suggested that I get a Kuan Yin veil (like the white veil Kuan Yin is pictured wearing). I haven’t gotten the veil yet. I would have gone shopping for it while on vacation had I not injured my foot but I believe that the right veil will find me when it’s supposed to. In my Memories post and my Loyalty post, I wrote about other blessing she gave me. 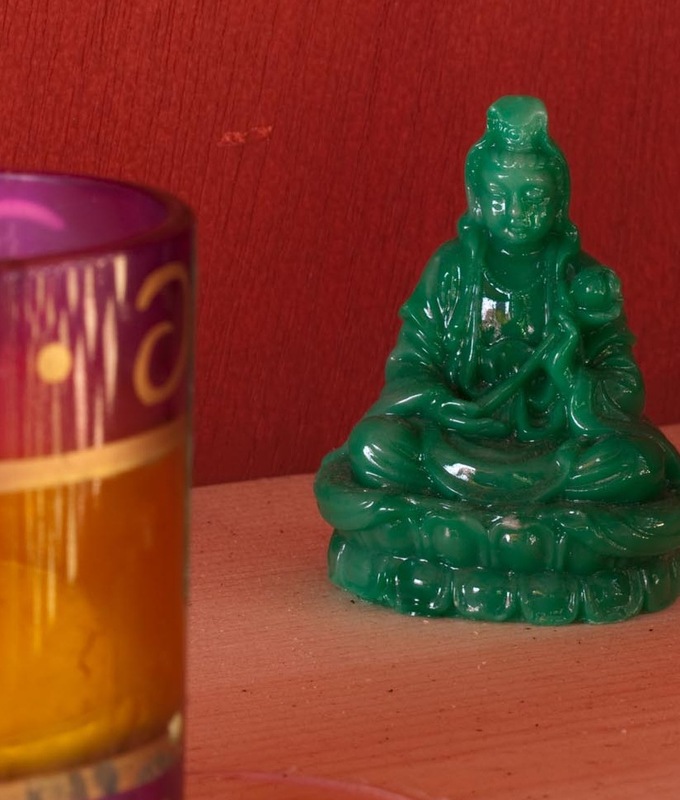 I think Kuan Yin’s blessings are multiple and not always as obvious as these. I ask for her guidance every day in prayer and I believe she blesses me even when I am unaware of it.